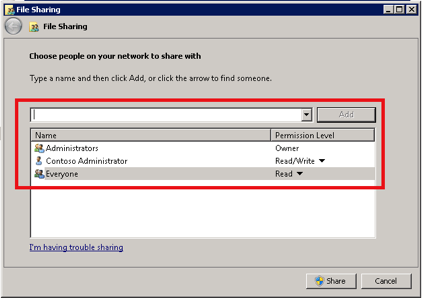 How to share files between virtual machines in a CloudShare environment! In an article I wrote some months ago (you can check it out here), I talked about your options when sharing files between your local PC and a virtual machine in a CloudShare environment. But, what about sharing files between different virtual machines in your environment? Is that even possible? Of course it is! In this article I will provide step by step instructions on how you can share files between virtual machines in your environment. 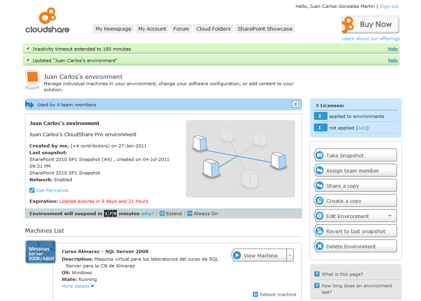 First, you need to access to your CloudShare account and start one of your available environments. As you can see in your environment main page, there is a topology network diagram showing the virtual machines available on it and, most importantly, indication that they have a direct connection. This means you can easily share resources between any machines included in your topology. 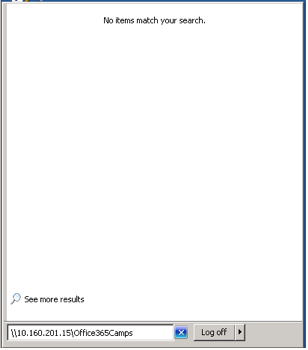 Just log in one of the available virtual machines in your environment. 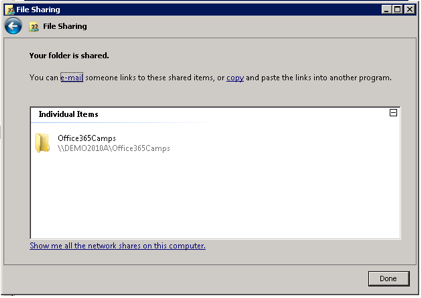 In the File Sharing window, just add any user you want to share the folder with and click the Share button. When the sharing process ends, you will see in the File Sharing window that the selected folder is already configured to be shared with other users. 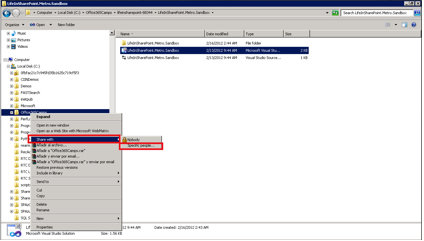 Before trying to access the shared folder from another virtual machine, you will need to determine the IP Address of the virtual machine hosting it. Just go to the Start option in your virtual machine and type cmd command. Once you are in the command line window, type ipconfig in order to determine the IP address for the virtual machine. 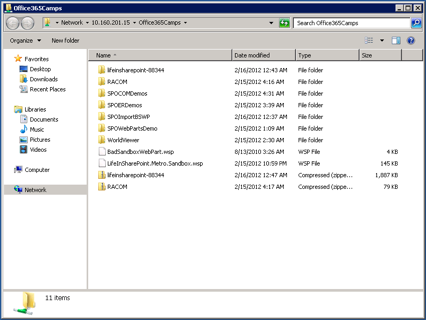 Log in to the virtual machine where you are going to access to the shared folder. Go to the Start option in your virtual machine and type the cmd command. Then type \\<IP Address of the virtual machine sharing resoruces\<Name of the Shared Folder> where the IP address is the one you obtained in the previous step. 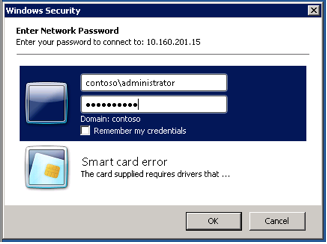 You will then see a Windows Security credentials prompt where you have to type in your valid username and password for permission to access to the shared folder. Enter your data and press the OK button. After a few seconds, you will have access to the shared folder and all of the information contained on it. And that’s how to share files between virtual machines in a CloudShare environment. Happy CloudSharing!